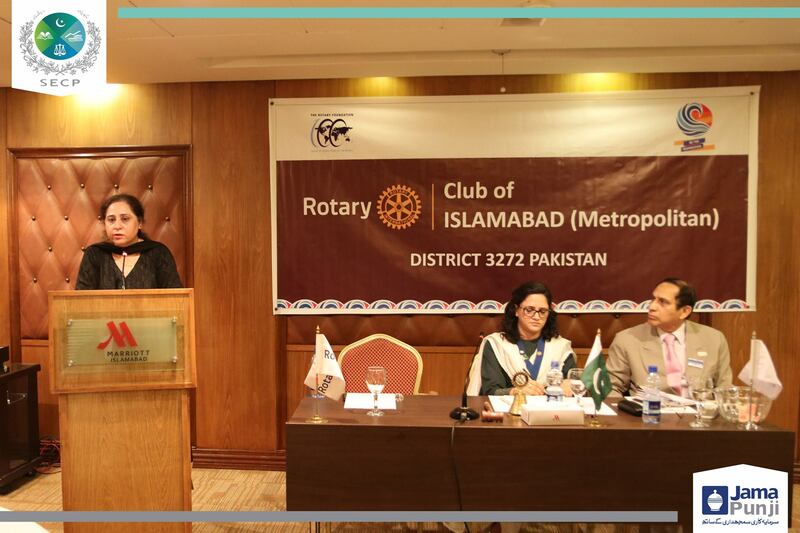 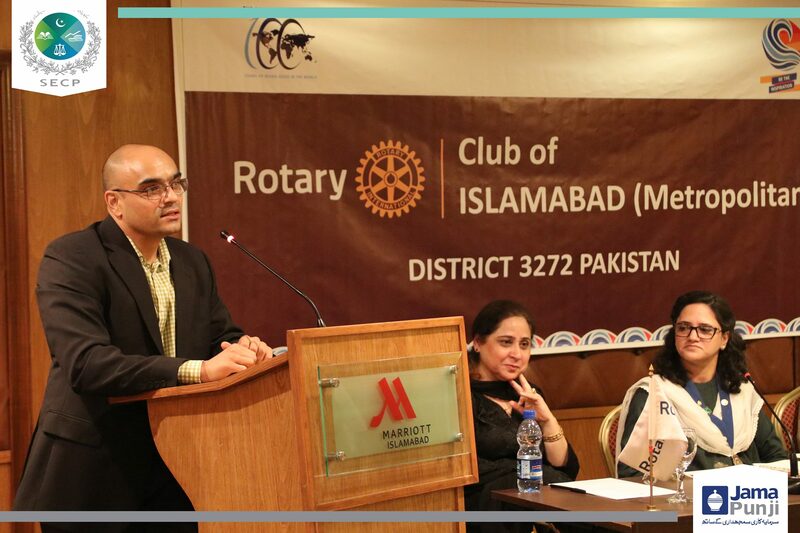 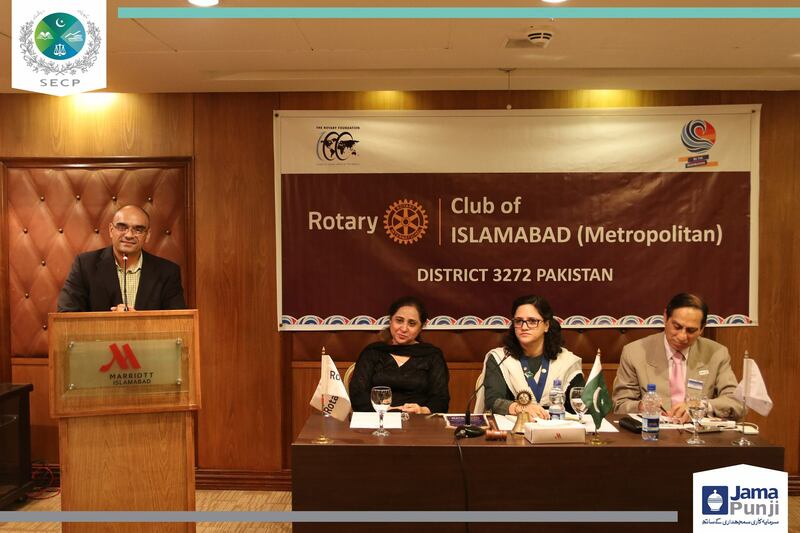 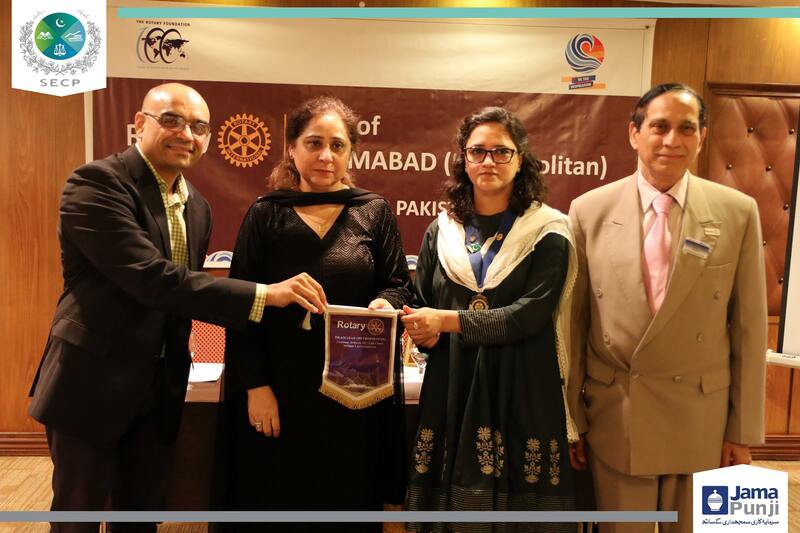 In continuance of its investor awareness program, the Securities and Exchange Commission of Pakistan (SECP) conducted an awareness session titled ‘Benefiting from SECP’s Investor Education Program’ at Rotary Club of Islamabad Metropolitan (RCIM) at the Marriott hotel, Islamabad. 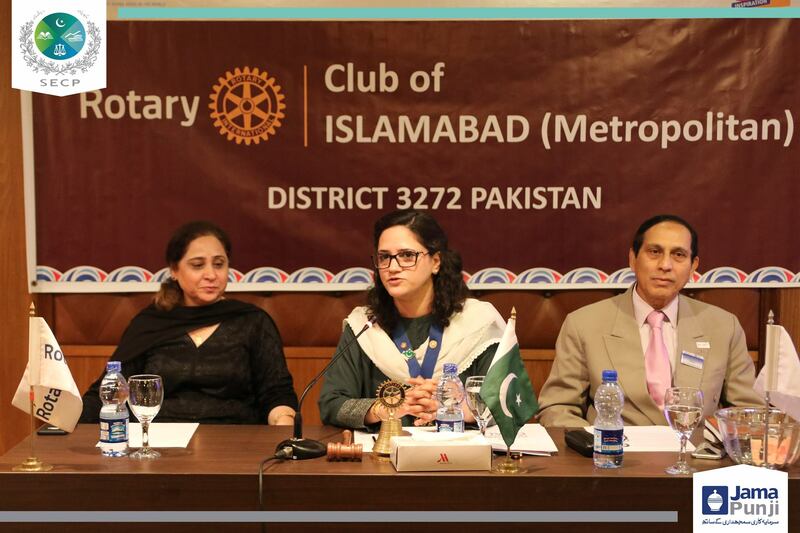 SECP’s Executive Director, Investor Education Department (IED) Ms Khalida Habib and the accompanying SECP officers were welcomed by the Secretary (RCIM) Mr. Shaukat Mukaddam and President (RCIM) Ms. Fakhira Khanum. 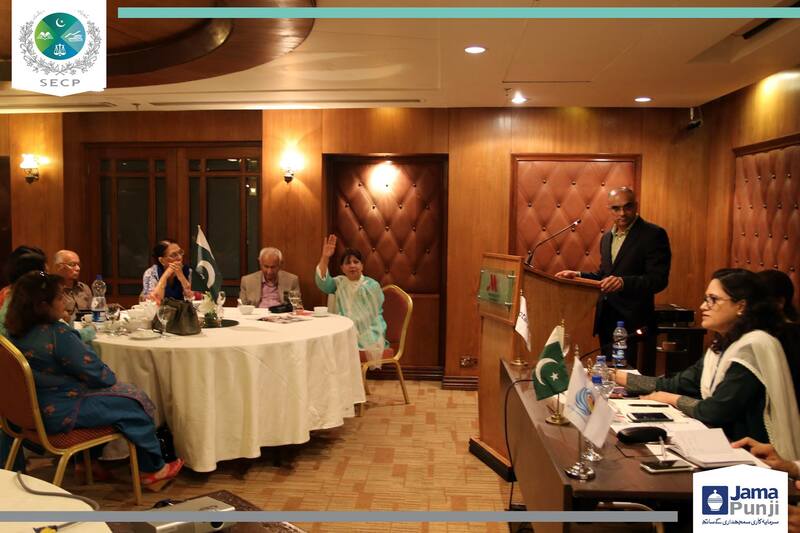 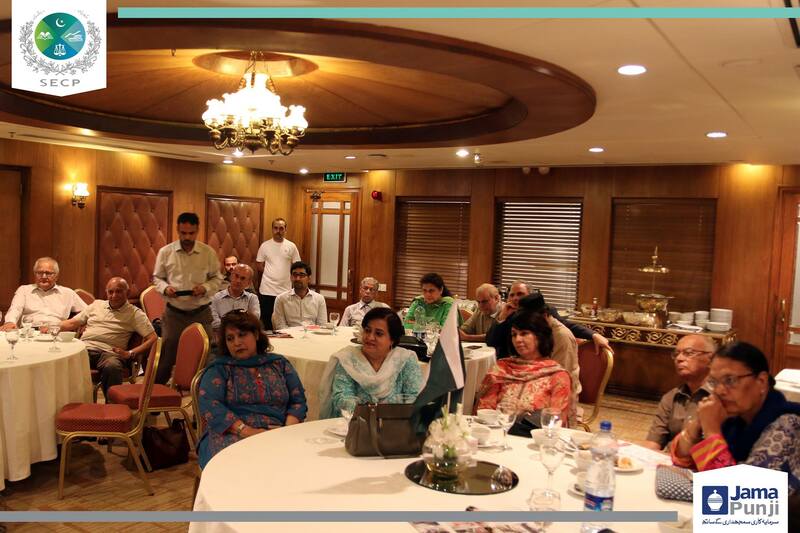 The awareness session was attended by retired civil personnel and members of the club to gain insight into SECP’s investor education program and to become SECP’s ambassadors in their respective circles of influence.